When Microsoft released Vista™, it did so with a play money poker platform. UK Poker News speculated at that time whether this was signalling that the internet's corporate giants might get involved in real money poker. Now, "Yahoo! UK" has made that step! In what is likely to be viewed by them as a commercial scoop, Boss Media AB, the Swedish software provider of online gaming, has snapped up Yahoo! UK as a customer using its online playing environment. Unlike any of Boss Media's other customers, Yahoo! UK is a gargantuan corporation with immediate access to the world's online population. More importantly, it already has vast numbers of ready-made potential poker players in its database of members. This gives it a distinct advantage over other online poker "start-ups". It is also likely to be one of the first of many established internet service providers taking advantage of their databases to supply interactive real money gaming products. The wonder is why it hasn't already happened! Boss Media AB, in partnership with St Minver Ltd of Gibraltar, runs the International Poker Network, which has a vast number of companies offering online poker on its unique platform, which many users would describe as being free of gimmickry. This pleases those who simply want to play poker without frills but is sometimes criticised by others as being unsophisticated. However, with its player base including a large contingent from southern European countries such as Spain, Turkey, Italy and Greece, there is no shortage of gambling action on the cash tables. That makes it very attractive for the poker "sharks"! Boss Media AB states that the "Yahoo! UK" launch is in response to "…the increasing demands of its expanding audience for an entertaining poker product within a safe playing environment. 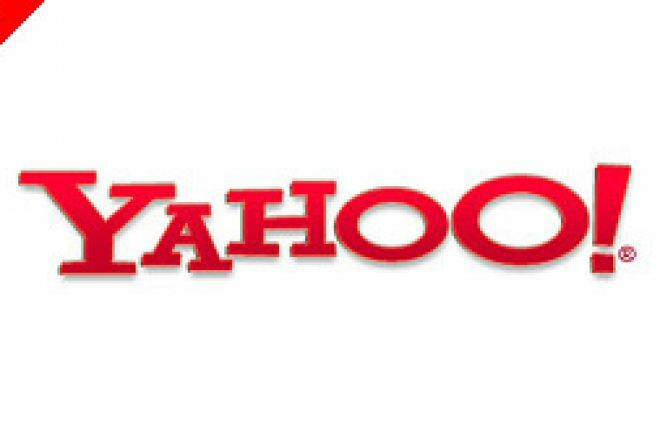 The new service offers an innovative and user-friendly experience through a flash-only, browser-based design that requires no download..."
"We are delighted to be working with Yahoo! UK and St Minver. This partnership takes Boss Media to a new dimension and is a very strategic milestone for the company. It confirms that online gaming and entertainment are becoming increasingly integrated and that a major portion of future growth in our industry will come from large online entertainment brands. "This product will deliver the excellent tools currently available in the Boss Media download poker software, along with some exciting user enhancements. Yahoo! UK has also partnered with Endemol Gaming, to create exclusive video tutorials and interactive guides. "This partnership strengthens our position as the leading online poker software provider for the European market. Product innovation and an in-depth understanding of the European gaming landscape are keys to our success." Ed note: Take advantage of an exclusive $10,000 Free Poker Tournament when you open an account at Sun Poker, where you also receive monthly $100 reload bonuses. Students! It Wasn't Like This in My Day! An Evening of Swedish Glamour and a holiday in Macau! MANSION Poker Donates $5,000,000 to Players – With More to Come!